Everyone loves a good subwoofer, no other speaker moves serious air like a good sub does, and obviously, nothing goes as low down into the depths of deep bass. 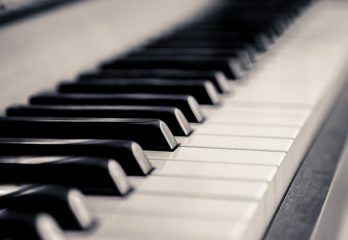 So, you’ll obviously need them to add those all-important super low frequencies to your sound system, but there are some considerations. They are expensive, very powerful and will eat your amplifiers watts for breakfast. And while doing that, they will blast out music that can be heard from blocks away. Obviously, as with most things, bigger is better, but, to be honest, the best 18-inch subwoofers are just too much for most people. There is a much smaller market for this size of this subwoofer than for the smaller and more affordable 15”. The reasons for this are that 18 inch speakers are big, they simply won’t fit into most cars without a lot of modification. The secondly, that larger speakers use a lot more power, so you’ll need to spend a lot more money on higher output amplifiers. Even though there are not a lot of subwoofers available, choosing one can still be difficult, so we’ve made the decision a lot easier by bringing you our pick of the best 18” subwoofers currently available. We’ll start our review off with the cheapest subwoofer in our line-up. And by cheap we mean very cheap, budget is an understatement. It is far less expensive than our other offerings. 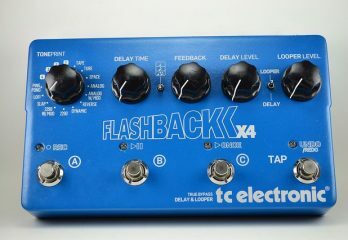 But, we have to admit, it still sounds really good, delivering a crisp distortion free sound. Of course, it doesn’t have the sound of some of the more expensive subwoofers in this review, but it’s a fraction of the price of some of them. But, definitely doesn’t deliver a fraction of the sound. It’s, understandably, also not as powerful as its competition. But, as with most things in life, you get what you pay for, so less power and a sound that is acceptable, not exceptional, may be worth putting up with if budget is a concern. The Lanzer subwoofer does, however, have one advantage over all it’s more expensive rivals. In that, it can be mounted anywhere in a car, without needing to use of an enclosure box. This makes it the easiest speaker to install in this review, and it’s definitely the best 18-inch sub for convenience. Let’s look at some specs. It features a barium ferrite magnet dual 3’’ high temp dual voice coils which allows for more ohm diversity and comes in a stamped steel basket that makes the unit very durable. 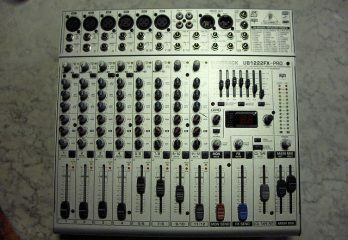 It can handle 300 watts to a max of 600 watts and has a frequency response of 30Hz to 1.8kHz. If you’re looking for low-end sound on a budget with the added convenience of easy install, then the Lanzar DCTOA18D is the perfect choice for you. Doesn’t need an enclosure box. Low-end bass reproduction suffers if the speaker is enclosed in tight spaces. Needs a little wiggle room to get the best sound out of it. 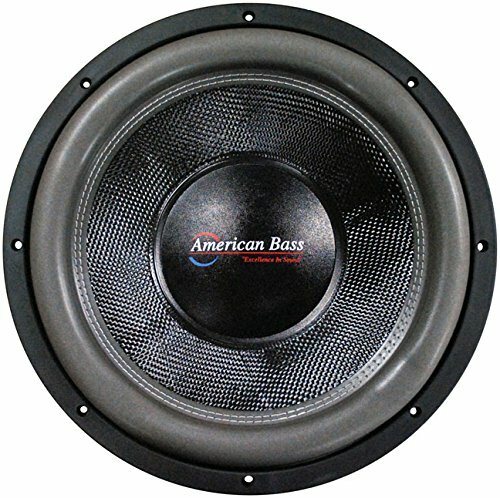 Moving up in price we come to the American Bass 18” model. If your not looking for a mega-high-end sub but want the best sound you can get this is the best woofer for you. It comes with a much higher power handling rating than the Lanzar we just reviewed. With 2,000 watts RMS and 4,000 watts max, so blasting the neighborhood has never been easier. Specs wise, the American Bass HD18D1A is an 18″ 3000-watt subwoofer with a dual 1ohm voice coil. 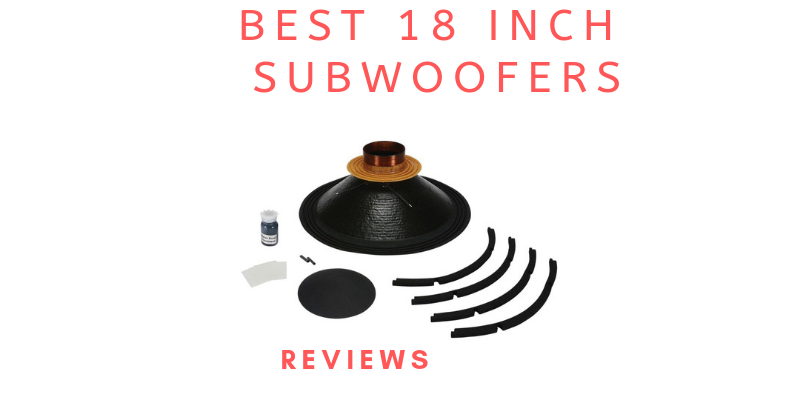 This is an excellent bet if you want to a big unit for a reasonable price that has deservedly earned itself a definite place on this list of the best 18-inch subwoofers. 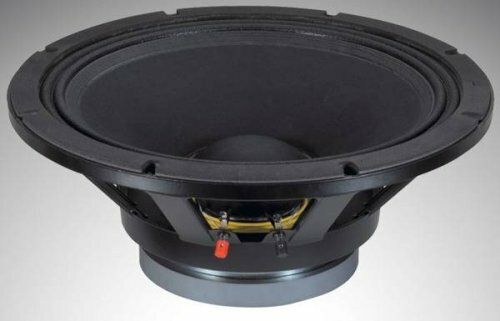 Basically, If you want to make sure that you’ve bought the best value to sound ratio 18-inch sub, then go with the American Bass. The ZVX subwoofer range is Skar’s flagship line and is the result of years of extensive research and development. And the undisputed king of the line is the Skar Audio ZVX-18v2. It’s a solid 18″ subwoofer that effortlessly delivers consistent low-end dynamics. It is unrivaled both in performance and in reliability and features a max power rating of 3,200 watts. 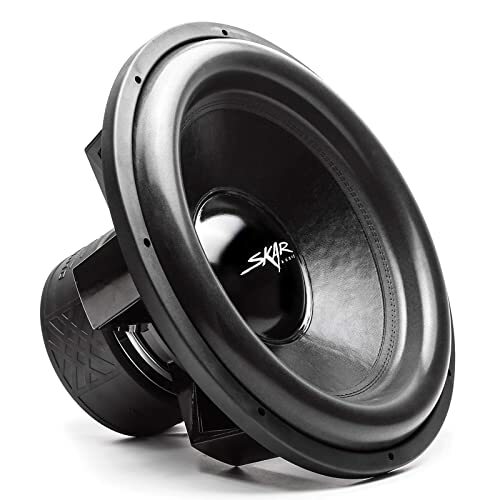 This makes it the ultimate 18-inch SPL grade subwoofer Skar Audio has to offer. This 18-inch driver was specially engineered to withstand brutality. And performs efficiently at the highest levels of output power, this makes it an extremely powerful and reliable subwoofer. It features a 3-inch high-temperature voice coil which is manufactured in the United States and a massive triple slug magnet. When combined with its high roll foam surround and its competition grade paper cone, this allows the sub to perform superbly. This 18-inch Subwoofer is designed to be used with customized box systems. It’s 15.2 inches in depth and has an outer diameter and a cut out that measures 18.2 inches. It also features superior quality mounting hardware. Regarding its specifications, it has an RMS power rating of 1,600 Watts with a max power rating of 3,200 Watts. It’s available as a dual 1-ohm voice coil or as featured in this review, the dual 2-ohm voice coil version. Balanced frequency distribution keeps the low end from getting too muddy. Simple speaker design reduces distortion, regardless of the input level. Rubber cone can tear and warp if left in the heat for too long. Does not come in a customized box. The Voice Coil wiring is CCAW, not the new more adaptable DVC sub wires. 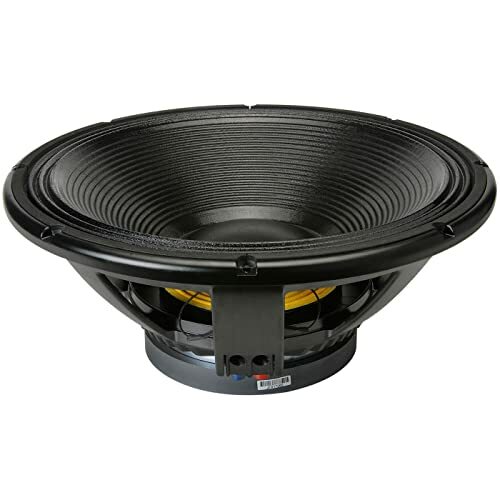 The L18P400 from RCF is a unique car subwoofer that has been specially designed to deliver more low-end volume and presence than traditional subwoofers. It’s not quite the monster, in terms of wattage, of the other subs that we’ve reviewed, with a 2000 Watt continuous program power handling at a sensitivity of 97.5 dB. But for most bass heads that is more than enough. As mentioned, this sub was specially designed to accentuate the low end, and it does that wonderfully. If you love EDM and Urban, you’ll melt when you hear the lows that this sub produces. And it has the specs to prove it, most of the woofers here go down to 30 Hz, the RCF goes even lower into the depths of bass at 25 Hz. Regarding its other specs, it features a 4-inch, fiberglass inside-outside copper voice coil with a frequency range of 25 Hz – 1 kHz. It also features an aluminum demodulation ring, forced air ventilation, and a 14 mm top plate to ensure minimum power compression. If you’re looking for even more specs to geek out on, it’s a Dual spider design with a silicon-based dampening control, a Triple-roll surround and has a corrugated straight cone geometry. Now that you’ve got all that, we’ll end by saying that it’s a great subwoofer and the low-end enhancement is superb, but unfortunately it might be too much for a lot of people. If your someone who really loves your low sub frequencies and enjoys listening to music that goes that low then these subwoofers are superb. If, however, you prefer a more balanced low end then you’d be better off with one of our other options. High-quality construction ensures constant high powered use running at 2000 watts. 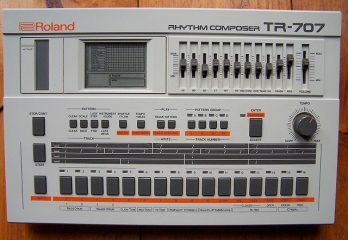 The dynamics and volume are physical and gently shake the interior for sonic effect. 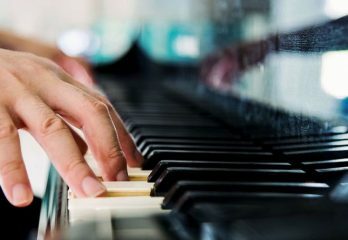 Intense presence of the bass end may be too much for buyers who are only looking for an increase in volume. B&C’s 18SW115 18″ pro subwoofer is a premium, high-end speaker that’s suitable for bass heads who want the absolute highest quality of sound and construction and are more than happy to pay for it. The specifications are something else, but that is to be expected for the ticket price. It boasts an oversized 4.5″ split winding copper voice coil on fiberglass former, which is a lot bigger and more technically advanced than on any of the other subs in this review. And on top of that, it features a ventilated voice coil gap which reduces power compression. As well as an aluminum demodulation ring on a pole piece to minimize distortion. It features a powerful but lightweight FEA-optimized neodymium magnet, an extremely high BL factor and Xmax for outstanding low-frequency output. It really is over specified, but, that’s what makes it the best sounding speaker in this review. But we have to admit, that even though it’s the best sounding, it really isn’t by much. You do need to pay quite a bit more for a small improvement in sound quality. Many will be happy to pay extra for the very best, some will, however, happily save some hard earned cash and buy a much cheaper but ever so slightly lower sound quality subwoofer. That choice is obviously up to you. Sensitive and responsive Neodymium magnet motor produces a clear audio output. Distortion at high power levels is minimal. Compatible with most aftermarket sound systems. Sound quality improvement is better, but not that much better than on more affordable subwoofer options. All the subwoofers we’ve featured so far have been specially designed for the auto market. But at the end of the day, a speaker is a speaker, and you can use them anywhere you want to hear a sound. The RCF L18P300 is however different; it’s designed for use in cars and trucks, and on stage and in nightclubs. As mentioned, a speaker is, of course, a speaker, but we do find this a little strange? Anyway, ignoring all that, it’s a multipurpose, high-quality subwoofer that sounds great in your home, on stage, or in the car. Its specifications are very impressive, featuring a 4-inch Inside/outside copper voice coil which gives a 2000 Watt continuous program power handling at a sensitivity of 97 dB. 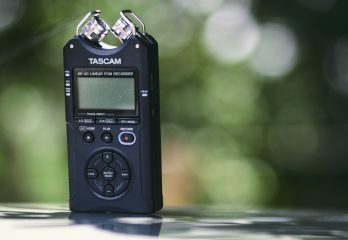 It also goes low, with a frequency range of 35 Hz – 1 kHz, which matches the L18P400 from the same company we reviewed earlier. It also features forced air ventilation and a 15 mm top plate for minimum power compression. It’s a great all-around speaker, but we just can’t understand why they have targeted it at two different markets. Anyway, they must have their reasons; maybe they think you’ll use it in your car on the way to your DJ gig, then un-wire it and use it in your DJ rig for the show? But regardless, this is a great sounding subwoofer with a lot of great features. The 2000 watt max power drives more air than smaller, less powerful subwoofers. Requires minimal set up and preparation. Awkward to fit into some cars. 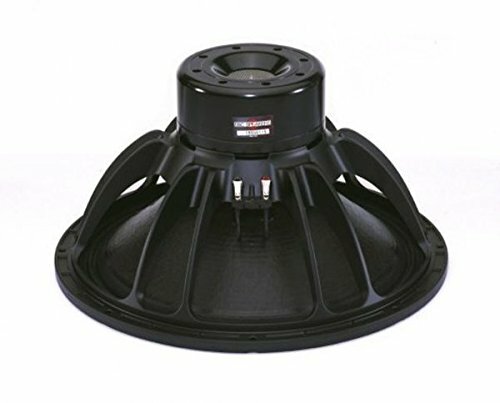 So, what is the best 18” Subwoofer for you? We’ve gathered together what we think are the five best 18” subwoofers currently on the market. They are all excellent choices, and anyone who loves their low end would be happy to listen to any of them. It won because it offers the best over-around features for the price. It’s a feature-rich subwoofer that sounds superb and is ideal for customized audio systems. And most importantly, it’s perfect for those who like their music loud, and always loud. 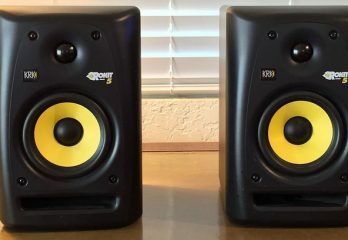 Though not exactly budget-friendly, it has an excellent build quality that makes it an amazingly durable and reliable subwoofer, and in the long run, will provide excellent value for money. Honorable mentions also go to the B&C 18SW115 for incredible sound quality. 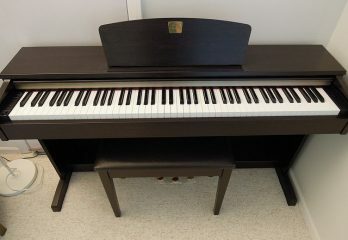 And the Lanzar DCTOA18D for fantastic value for money. Have fun choosing your perfect 18” subwoofer and enjoy listening to some fantastic low-end on your fave tracks when you get it!